Ph.D., Electical and Computer Engineering, University of Illinois at Urbana-Champaign, 2017. M.S., Electical and Computer Engineering, University of Illinois at Urbana-Champaign, 2013. B.E., Electrical and Computer Engineering, American University of Beirut, 2011. Check out Ahmed Fawaz's resume. Postdoctoral Research Fellow, Information Trust Institute, UIUC, 2017-2018. Research Asssistant, Department of Electrical and Computer Engineering, UIUC, 2011-2017. Summer Research Intern, Schweitzer Engineering Laboratories, Pullman, WA, 2013. Summer Intern, Computer Communications and Applications Laboratory, EPFL, Lausanne, CH, 2010. Research Assistant, Department of Electrical and Computer Engineering, American Univerity of Beirut, Beirut, Lebanon, 2009-2011. A. Bohara, M. A. Noureddine, A. Fawaz, and W. H. Sanders. , "An Unsupervised Multi-Detector Approach for Identifying Malicious Lateral Movement," Proceedings of the 2017 IEEE 36th Symposium on Reliable Distributed Systems (SRDS 2017), Hong Kong, China, September 26-29, 2017, pp. 224-233. A. Fawaz, M. Noureddine, and W. Sanders., "PowerAlert: Integrity Checking Using Power Measurement and a Game-Theoretic Strategy", Proceedings of the 48th IEEE/IFIP International Conference on Dependable Systems and Networks, Luxembourg City, Luxembourg, June 25-28, 2018, to appear. Stephen McLaughlin, Brett Holbert, Ahmed Fawaz, Robin Berthier and Saman Zonouz, "A Multi-Sensor Intrusion and Energy Theft Detection Framework for Advanced Metering Infrastructures", IEEE JSAC Smart Grid Communications Series, vol. 31, no. 7, pp. 1319-1330, July 2013. Fawaz, Ahmed, Jabber, A., Kassem, A., Chehab, A., and Kayssi, A., "Assessing Testing Techniques for Resistive-Open Defects in Nanometer CMOS Adders," In Proceedings of the IEEE International Conference on Electronics, Circuits, and Systems (ICECS 2011), Beirut, Lebanon, Dec. 11-14, 2011, pp. 165-168. Fawaz, Ahmed, Hojaij, A., Kobeissi, H., and Artail, H., "An On-Demand Mobile Advertising System that Protects Source Privacy using Interest Aggregation," In Proceedings of the IEEE 7th International Conference on Wireless and Mobile Computing, Networking and Communications (WiMob 2011), Shanghai, P.R. China, Oct. 10-12, 2011, pp. 127-134. Fawaz, Ahmed, Hojaij, A., Kobeissi, H., and Artail, H., "Using Cooperation among Peers and Interest Mixing to Protect Privacy in Targeted Mobile Advertisement," In Proceedings of the 11th International Conference on Telecommunications for Intelligent Transport Systems (ITST 2011), Saint Petersburg, Russia, Aug. 23-25, 2011, pp. 474-479. Fawaz, Ahmed, and Artail, H. , "Enhanced Cooperative Collision Avoidance in Sudden Vehicle Braking Scenarios," In Proceedings of the IEEE 17th International Conference on Telecommunications (ICT 2010), Doha, Qatar, April 4-7, 2010, pp. 806-813. Visit the Google scholar page for a list of Ahmed Fawaz's publications. Please email me for any preprint copies that you might need. Mavis Future Faculty Fellowship for the year 2016-2017. Dean's honor list at the faculty of engineering and architecture at AUB (all attended semester). Ahmed Fawaz is the CISO at Supernova Companies LLC. He was an Electrical and Computer Engineering (www.ece.illinois.edu) Postdoctoral Fellow at the University of Illinois at Urbana-Champaign (illinois.edu) advised by William H. Sanders (whs.crhc.illinois.edu). His research interests include designing cyber resiliency protection strategies to protect against advanced threats. 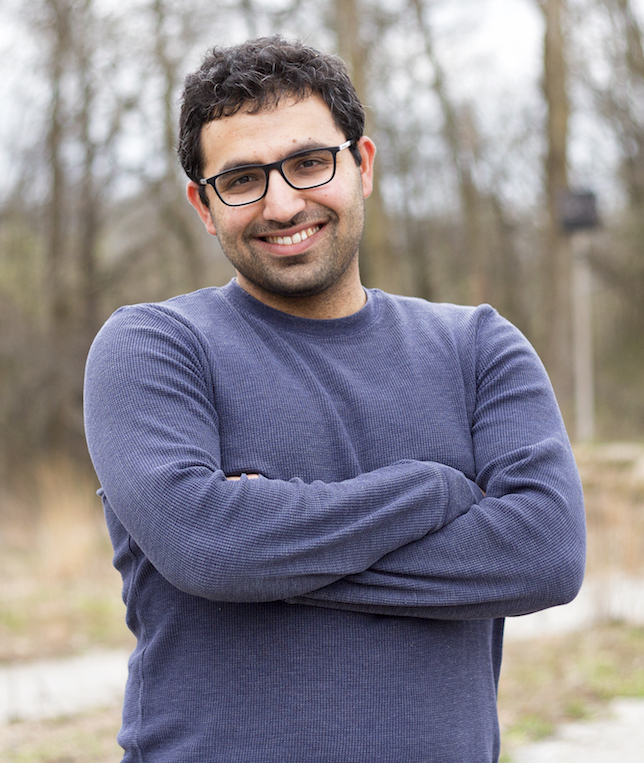 Ahmed received his doctoral degree in Electrical and Computer Engineering from the University of Illinois at Urbana-Champaign in August 2017. Ahmed received his bachelor's degree in Electrical and Computer Engineering from the American University of Beirut (AUB) in 2011.